Last year, Seasons 52 in Chestnut Hill asked me to try their winter menu, and it ended up being my first time ever trying surf and turf. Needless to say it changed my life. So this year when they asked me to try their fall menu, I jumped at the chance. Read on to see how the dishes fared this time around, and to see what Patriots player crashed the party! 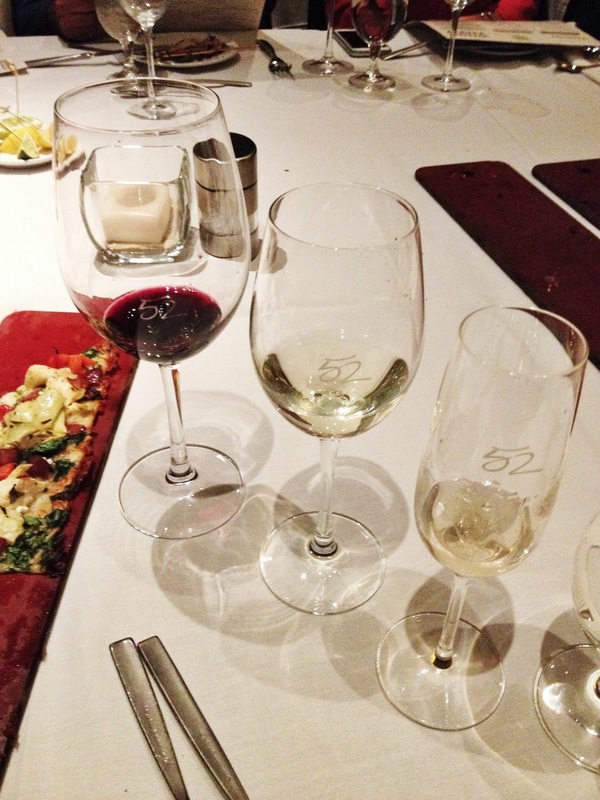 We were given various white and red wines to try. My favorite was the champagne, as per usual. For my entree I ordered the Scallops and Risotto, which came with risotto and broccolini, and was absolutely delicious. 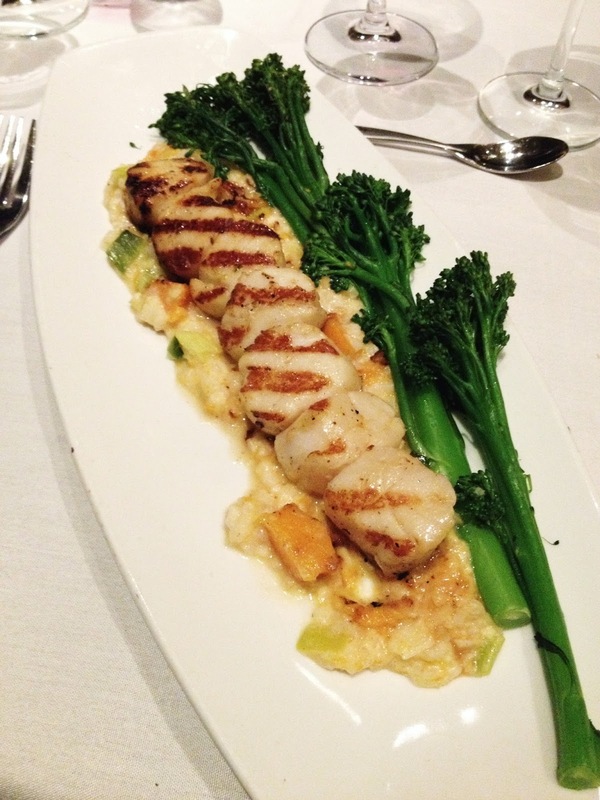 The chewy texture of the scallops went so well with the warm comfort of the risotto. The broccolini of course is just necessary for those vitamins. 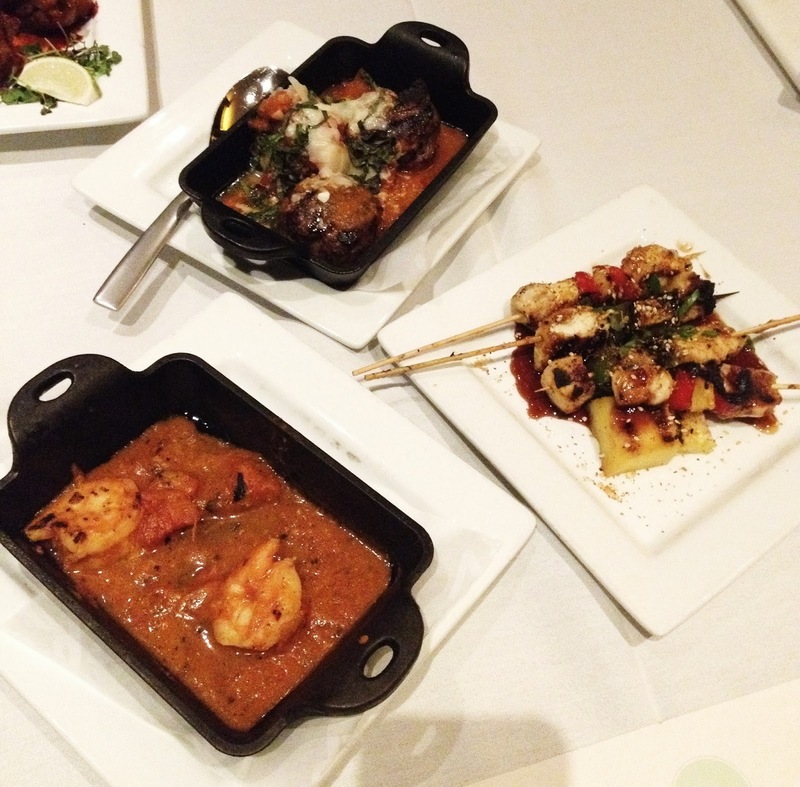 We tried a ton of Seasons 52 appetizers and small plates, like the shrimp, chicken skewers and meatballs above. These “Asian-glazed” (what does that even mean?) 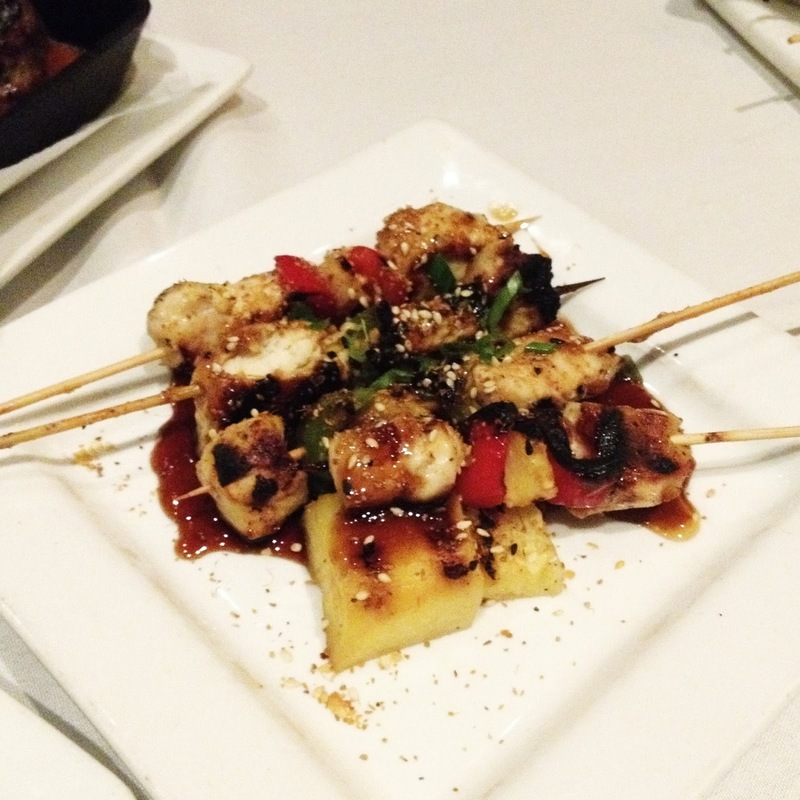 grilled chicken skewers were really tasty – they came topped with sesame seeds and roasted peanut vinaigrette. These meatballs were TOO good. 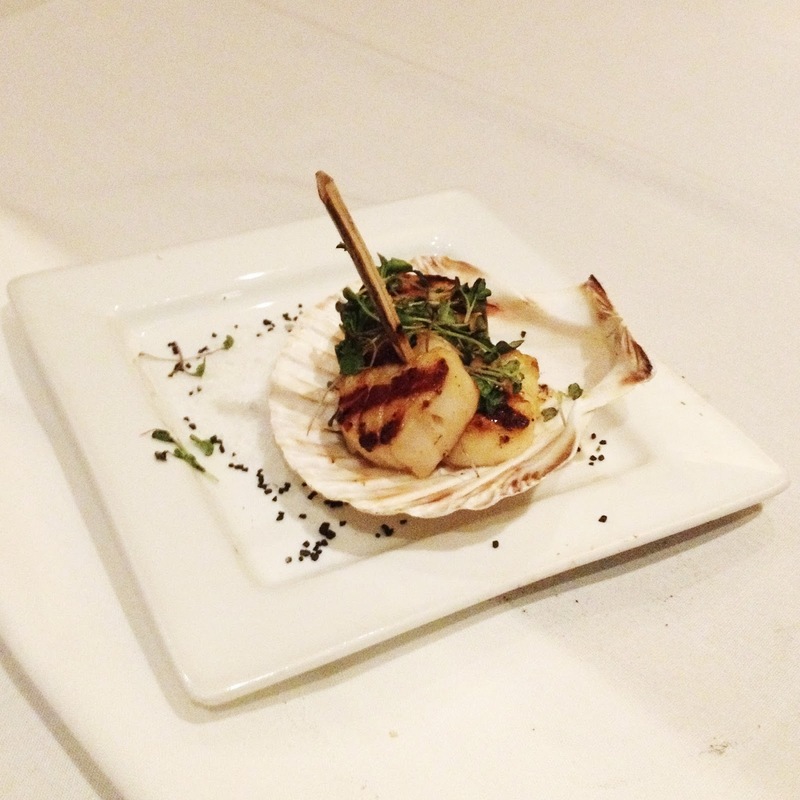 This is obviously the most adorable scallop presentation ever – on a giant seashell! I would’ve taken a better picture but I just wanted to eat them. 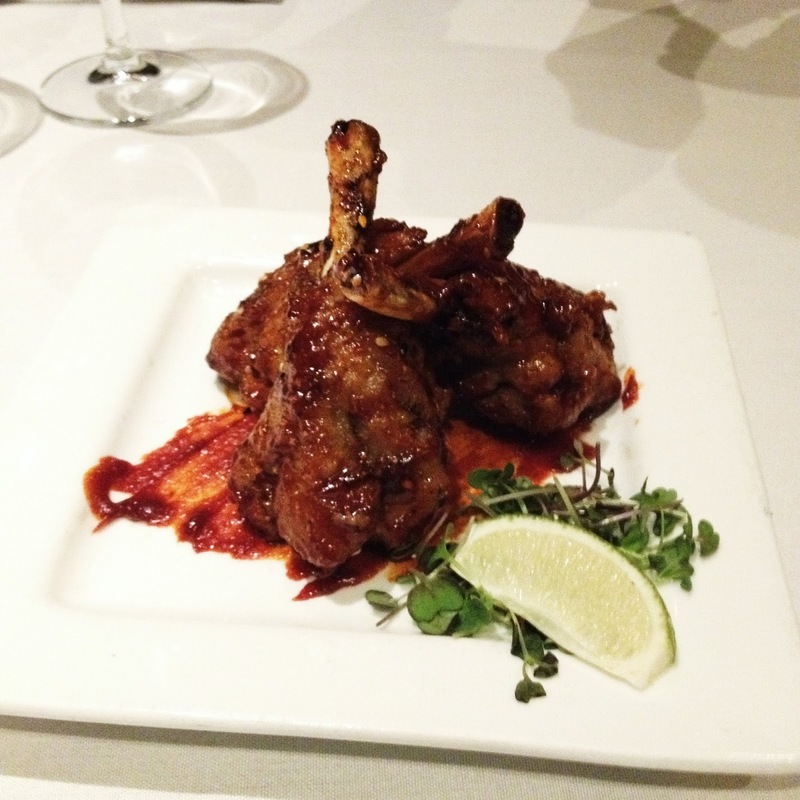 These Duck Wing Lollipops were my favorite app, hands down. I’m such a fan of duck when it’s made right, and these were so scrumptious and full of flavor. Especially with the lime squeezed over them, you’ll never claim that sweet lollipops are better than savory again. Okay, I really dodged on bullet on this one, guys. 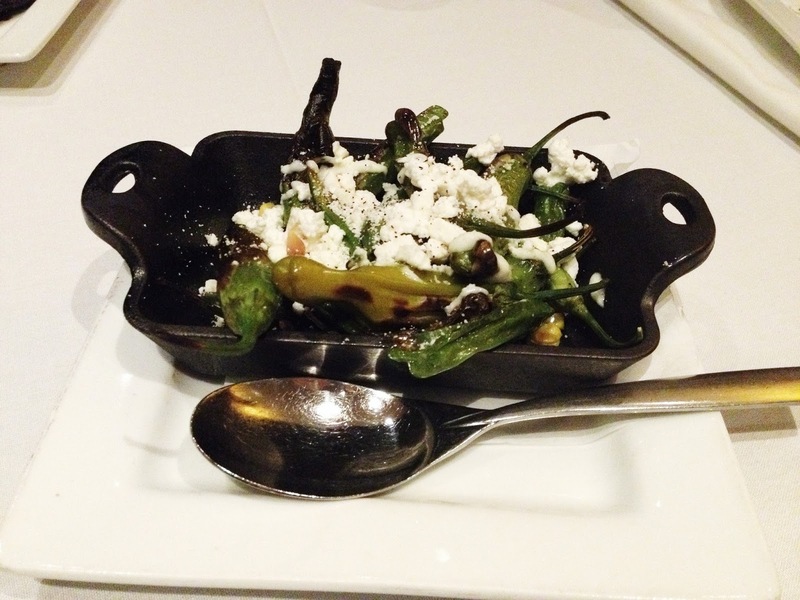 I’m pretty terrible about eating spicy things so i steered clear of these Blistered Shishito Peppers (with Sonoma goat-feta cheese, lemon aioli, and sumac). Everyone said they would be fine, and only like 1 in 100 are actually spicy at all. But all of a sudden practically everyone that tried one claimed how spicy they all were! Either we were a table of hypochondriacs or we got a super spicy batch of these peppers. 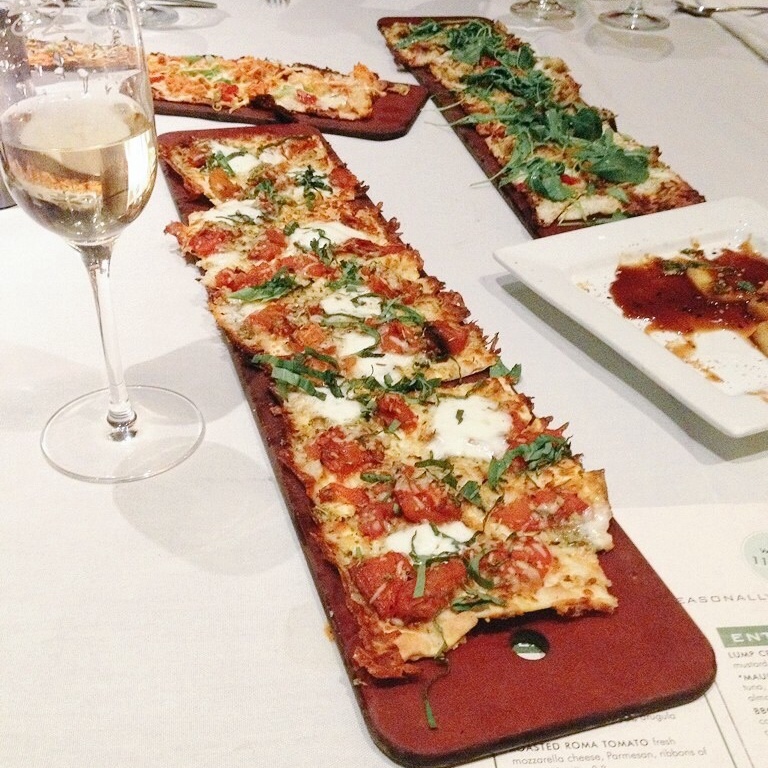 A close second favorite app of mine were these flatbreads that Seasons 52 is renowned for. They even made me an amazing gluten-free one with artichoke, laurel chenel goat cheese, spinach, balsamic onions, and roasted peppers. You literally could not tell that they were gluten free! They were very accommodating and had a large, delicious g-free menu to order from. As we neared the end of our meal, we noticed that we hadn’t seen the wait staff in a while. Just then, a member of our party returned from the bathroom and mentioned casually that he saw Rob Gronkowski (“Gronk”) in the bathroom. Peering outside of our dining room, we saw a huddle of waitresses staring at him at the bar. We all found it hilarious! Be sure to check out my latest tasting of Season 52’s spring menu! 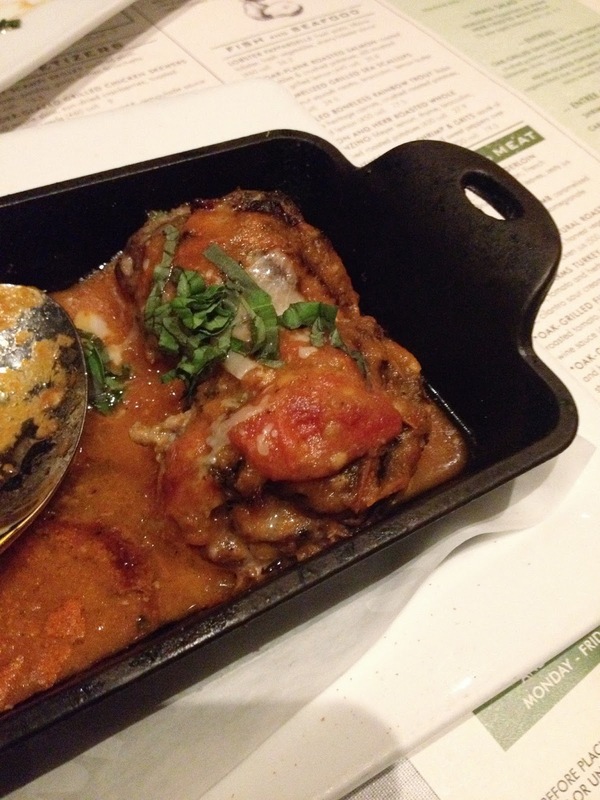 Comment Challenge: What’s your favorite restaurant or dish to nosh on over the holidays? Next Post Round Up of Black Friday Round Ups!